How Do You Make a Playlist on YouTube? A playlist on YouTube is a collection or group of YouTube videos that play in order. This humanized feature plays an extremely important role. And downloading YouTube playlist videos has gradually become a trend. For YouTubers, they can create playlists to categorize their own video, showcase the best YouTube videos to their viewers and attract more subscribers. For video watchers, the playlist is a fantastic tool to organize and keep track of your favorite videos. The following article shows you how to make a playlist on YouTube and add video to the playlist. HD Video Converter Factory Pro is an easy-to-use and functional tool that can help you download YouTube playlist videos in 4K/1080P/720P/480P AVI/MP4/MKV/MOV etc. formats. 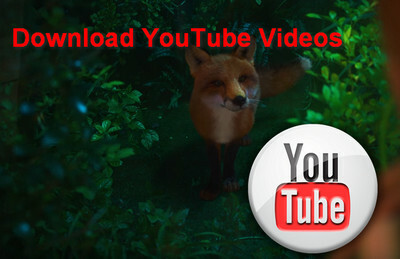 Now, install it on your PC and start to download playlist videos. To create YouTube playlist, you need to sign in to YouTube, which is a Google account. If not, sign up here: https://accounts.google.com/SignUp. Step 1. 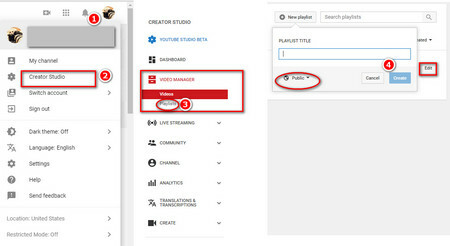 How to make a YouTube playlist in Creator Studio? Firstly, Click the avatar in the upper right corner and select Creator Studio. Step 2. Expand the left Video Manager and select Playlists. Step 3. Click the New playlist button at the top, enter the title of the playlist, and set privacy Settings (Public, Unlisted, Private). Step 4. Click Create to complete the playlist. After creating a playlist on YouTube, click the Edit button and then click Add videos button on the right. There are three ways to add video to the playlist: Search video, Paste a specific video URL, your own uploaded video. 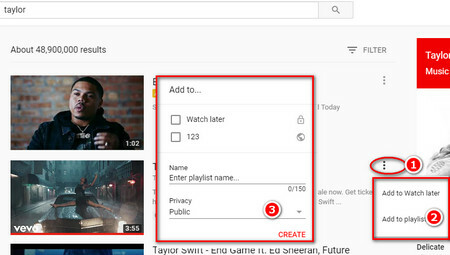 You can repeat the above steps to create multiple playlists to sort video. Step 1. How to create a playlist on YouTube while watching a video? Firstly, choose one video on the YouTube homepage and start to play. Step 2. Click on the lower right of the video Add to icon > Create new playlist. Step 3. 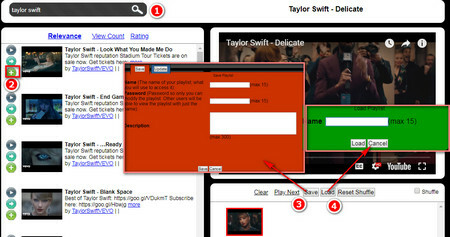 Enter the title of the playlist and set the privacy settings, click Create to start creating the playlist. If there are already created playlists, check the box in front of the title to add videos. Step 1. How to make a playlist on YouTube? Firstly, enter any favorite video and start the search in the search bar above the YouTube page. Step 2. On the search results page, click the three-point icon to the right of the video and select Add to playlist. Step 3. Click Create new playlist, enter the title of the playlist, and set the privacy settings, click Create to start creating the playlist. At the same time, you can also add videos to the created playlist here. After testing, method 2 and method 3 also apply to mobile YouTube app. So, you can create a playlist on any of your devices with above methods. If you don't want to register any account, you can also use some third-party services like YouTube playlist maker to help create a playlist on YouTube app. Step 1: How to make a YouTube playlist without an account? Firstly, visit http://youtubelister.com/. And then search for the video name in the search bar. Step 2: Click + in search results to add video to the right side. Step 3: Click Save to save the created list. Click Load button and enter the name of created playlist to load the saved list directly. All in all, you have got 4 methods to solve “how to create a YouTube playlist” issue. I believe that following the above steps, no matter which device you are on to create the YouTube playlist, you can successfully do this. With HD Video Converter Factory Pro, you can easily download YouTube videos to your computer. What’s more, you can convert the downloaded videos to any other devices like iPhone X, Samsung Galaxy S9, LG TV and more! YouTube 3GP Download: Convert YouTube Video to 3GP with Simple Steps How to Fix YouTube No Sound Problem When Playing Online M3U Playlist: What is an M3U File & How to Play M3U Files?